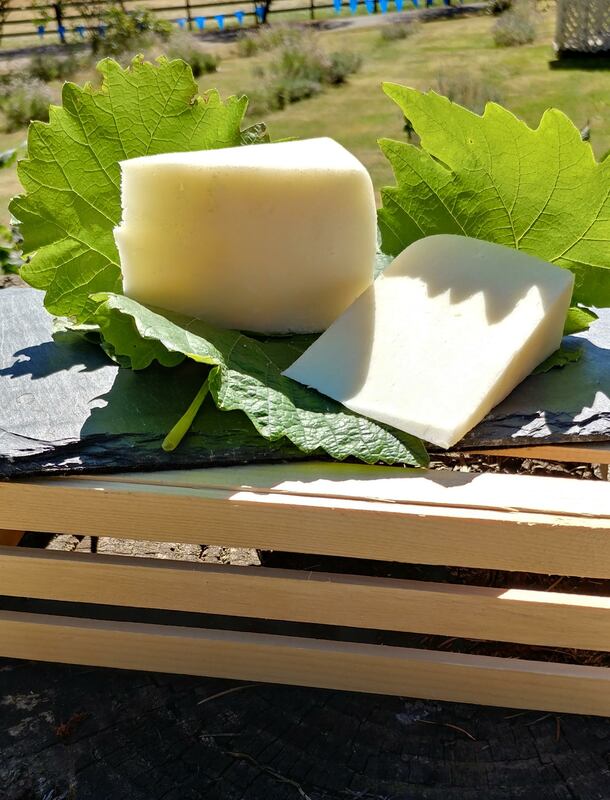 Our personal love of quality cheese led our farm to creating unique artisan cheeses to share with others. 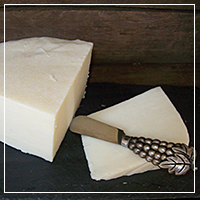 Our cheeses are ‘farmstead cheeses’ meaning they are made only from milk produced at our farm. This allows us to ensure the highest quality milk from our own pampered Nubian does. Each cheese is made in small-scale batches and hand crafted in a traditional artisan manner and then aged in our inground cheese cave to the perfect degree of sharpness. Cheeses are available online or at the farm stand. If you are looking for a classic aged cheese, you can’t miss with Silver Star Classic. 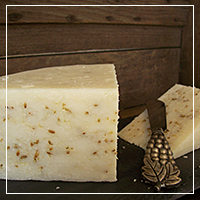 This cheese has a clean, milky flavor but is aged long enough to produce a bit of sharpness and some crystallization. It’s distinct full-flavor is all cheese! The texture of Silver Star Classic is a slightly crumbly. Silver Star offers luscious melting properties and blends well into your favorite dishes. It works beautifully in Italian meals as pasta fillings or a topper to your favorite soup as well as being a perfect standalone with hors d’oevres. 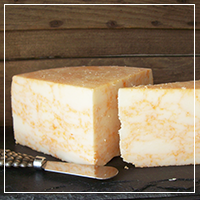 With distinct notes of smokey paprika, this hand-stirred beautifully marbled cheese is sure to please. It is a full-flavored cheese with enough personality to easily stand alone on a cheese plate with nuts, fruit and fruit jams or as a delicious addition to Middle Eastern cuisine. Yacolt Burn is aged up to 5 years for distinct sharpness, but is also available in more mild shorter-aged wheels. You will find these cheese pairs nicely with robust red wines. This cheese will delight you with its hint of citrusy flavor. Although the flavor of cumin is prominent it does not overpower the clean flavor of the cheese. 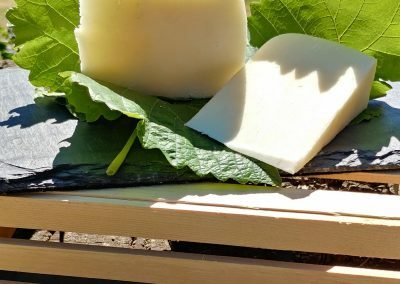 The pairing of a nice white wine and this cheese will knock your socks off. It is absolutely exquisite. As a stand-alone on a cheese board or as a compliment to your favorite Mexican fare, with a hearty stew or on specialty grilled cheese sandwich, you won’t be disappointed. The possibilities are endless with this delicious cheese. If you like caraway, you will love this cheese. As bold as its namesake, The Columbia River Gorge, this cheese boasts of a caraway flavor that is pronounced enough to stand with beer and pretzels, or as a sweet note to a baguette. 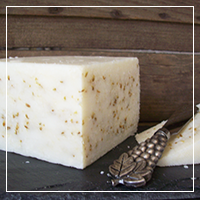 The balance between cheese and caraway is certain to please the most discriminating cheese aficionado. Columbia Gorge Caraway works beautifully with fruits and berries on a cheese plate and is delightful with a fruit spread and crackers. 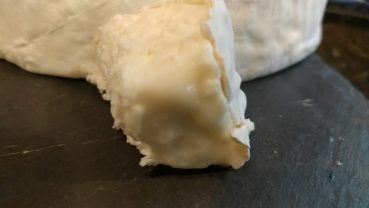 Named after Mary Rosenblum, cheesemaker, mentor and friend, this cheese boasts of a beautifully creamy texture with a fresh, crisp, slightly tangy flavor. This washed-curd style cheese pairs beautifully with nuts and fruit and works spectacularly on a Charcuterie Plate. It’s classic flavor makes it a perfect addition to any of your favorite dishes. One of our personal favorites is a Blackberry Grilled Cheese Sandwich.